“Triple Tested, For your Success, Every Time” exclaimed the stamp on the front cover of The Australian Woman’s Weekly Recipe Magazine, Quick Mix Cakes. Always up for a challenge and ever-willing to test recipes, I used the “pick a random page” selection method! 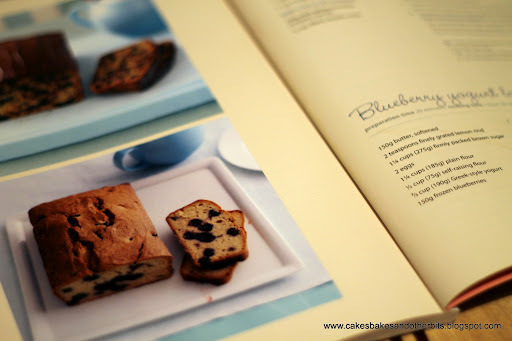 The page which fell open contained two recipes, one of which was the Blueberry & Yogurt Loaf. As I had all the ingredients already, a perfect opportunity to give it a try. I wasn’t entirely sure about this recipe at first, as there is a large amount of sugar involved, but when cut through with the yoghurt and the tartness of the blueberries, the flavour balances very well. Beat the sugar, butter, and lemon zest together until light and fluffy. Next, beat in the eggs (one at a time.) Transfer the egg & sugar mixture into a larger bowl. Sift in half the flours and, to this, add half the yogurt. Mix, and repeat. Add the washed blueberries and carefully fold through. I read the recipe slightly wrong at this point, and instead of reading “leave the cake to sit for 5 minutes after baking”, I left it to sit for 5 minutes before baking! I don’t know if that made a huge difference, but the blueberries did not sink, which is a result in itself! 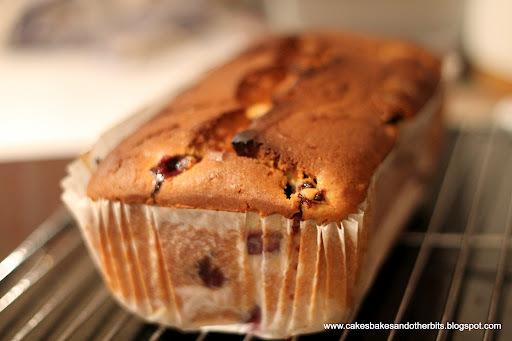 Dust the berries in flour to be sure of no sinkage! 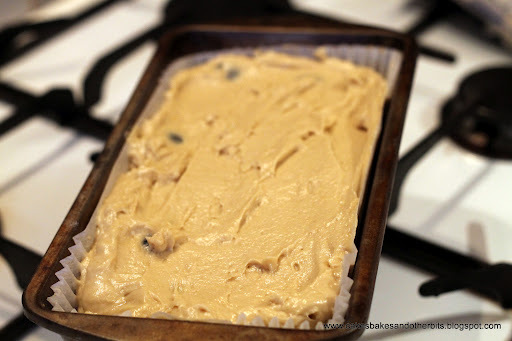 Put the cake mixture into a lined 2lb loaf tin and bake for 1 and 1/2 hours. When baked, leave in the tin for 5 minutes before removing to a wire rack to cool. 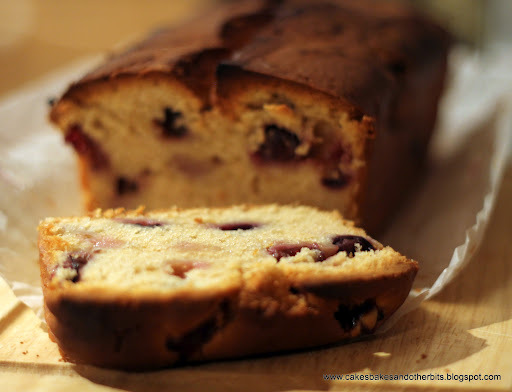 This recipe worked first time, is easy to do, and a great partner with a cup of tea. Previous Post A Year, and a Day! I didn't like blueberries when I was little, I don't even remember why, maybe because they colour your tongue? Anyway I like them now, and your cake looks delicious Colette.In Poland the season for blueberries is around August. There are a lot of blueberries especially in south of Poland in mountains. It's quite a hard work to pick a decent amount of them (especially that you are eating them instantly while you pick them), but they are so delicious. 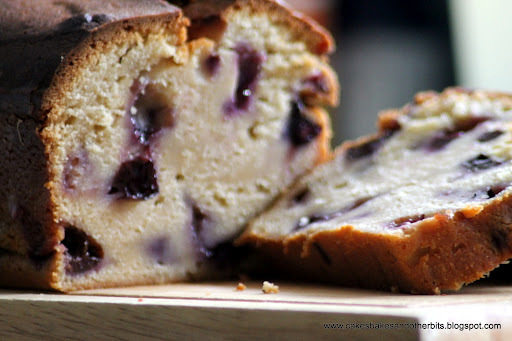 I must prepare an yeast blueberry pastry (jagodzianka) https://www.google.com/search?q=jagodzianka&hl=pl&prmd=imvns&tbm=isch&tbo=u&source=univ&sa=X&ei=K0GUT4qwPMOohAflw9iLBA&ved=0CEUQsAQ&biw=1224&bih=683&sei=NEGUT92FCYaIhQeFntWfBAI bet you will love it as well. Thanks, Carol-anne 🙂 There are some really nice recipes in the Australian Women's Weekly books. I have lots of them, and must get making more from them.